The second half of February is known as “Silly Season” here at Frog Pond Farm – and for good reason. During a period of two weeks; we have Valentines Day, Mardi Gras, Glhow’s birthday, AND our wedding anniversary to observe! With some hard-earned vacation time, airline miles and hotel credits saved up – it is definitely time for a getaway to warmer climes. So we put together a scheme to break these winter doldrums for a combined celebration to visit, explore, and report on an area we’ve never seen before. Barbados! As always, you can click any picture for a higher resolution version…just click your “Back” button to return to the story after viewing. Please see sharing and copyright notice at end of post. “Why Barbados?”, you might ask. Well, a number of things played into our decision. Timing for our “Silly Season” of course, as well as our reliance on where and when we could use our air and hotel points were major factors. We visited the US Virgin Islands several years ago and fell in love with the Caribbean – so that came into play as well. Once we realized that Bridgetown – the capital of Barbados – is a “Sister City” of our hometown Wilmington NC, our decision was made! Let’s build some “Bridges to Bridgetown”! If you’ve ever used airline miles to book a flight – especially an international flight – you know you are not likely to get the most direct itinerary. So our journey began with a 5 hour overnight drive from Wilmington to Charlotte NC. We had an early flight out on Thursday 2/18, with stops in Tampa and Miami. We arrived at Grantley Adams International Airport on-time at 10:30pm local time. After nearly 24 hours of travel time, we truly appreciated that we had contracted with 5-Star FastTrack to expedite our navigation through Bajan Immigration and Customs. They even had a car waiting to ferry us to our hotel! 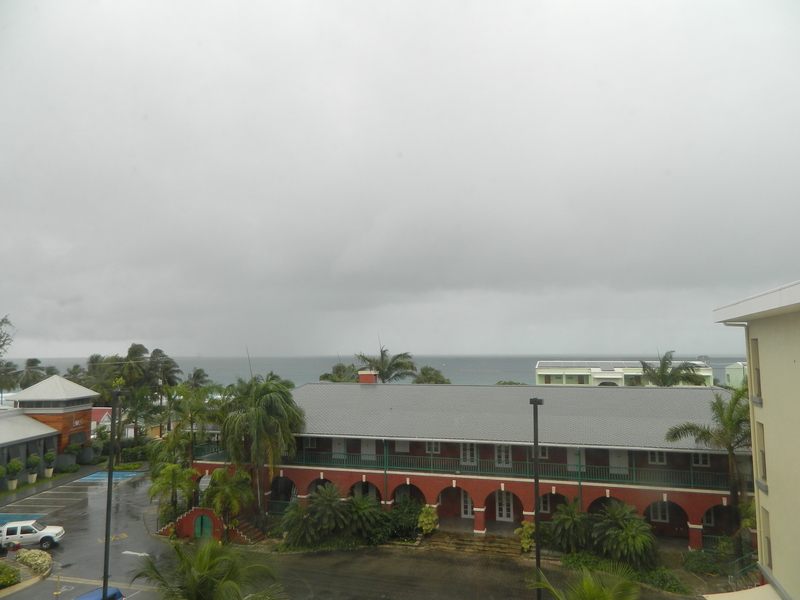 So we awoke Friday morning at our “home away from home” – the Marriott Courtyard just outside Bridgetown. Again, utilizing points to pay for the room we didn’t have the “best room in the house”. But it clean, comfortable, and we still had a view of the water! And the folks at the Courtyard were amazingly friendly and helpful when we had questions or needed advice. Shortly after breakfast, the fine folk at Stoutes Car Rental delivered our vehicle for the week – right on time, and just as promised! A few minutes to handle inspection and paperwork, and we were prepared to begin our exploration of Barbados! 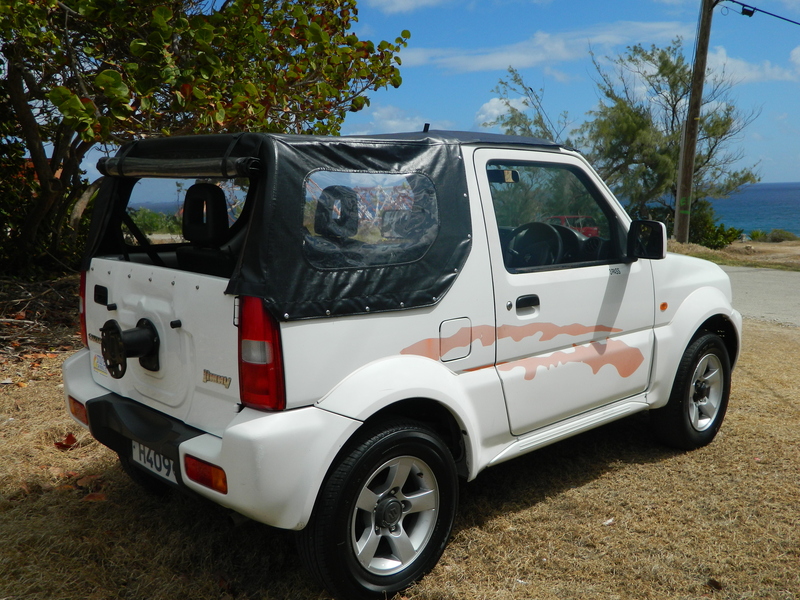 We promptly saddled our little Suzuki Jimny with the name “Jeepster” and were prepared to go on safari. But this first day was all about shaking off the February cold and warming both body and soul in the warm blue waters of the Caribbean. 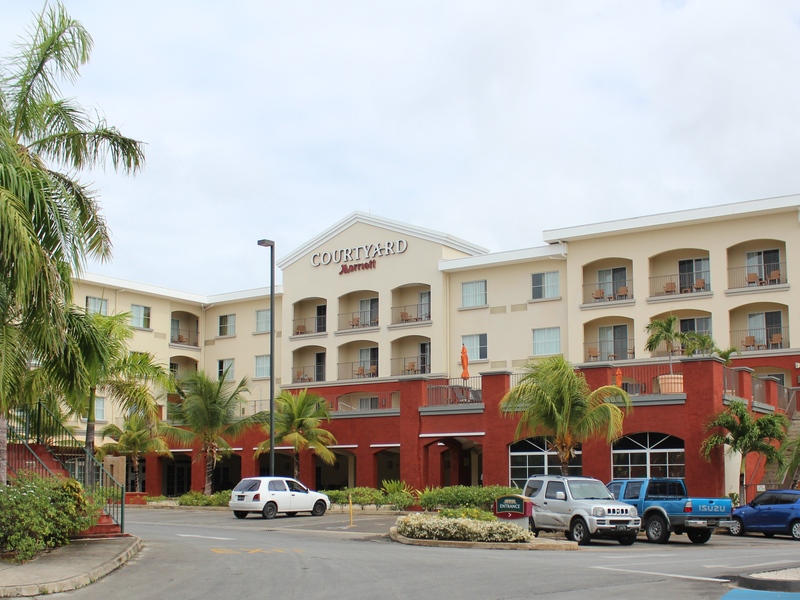 The Courtyard hotel does not sit directly on the beach; but is only across the street and perhaps a 5 minute walk. Even better, they have made an arrangement with the Coconut Beach Resort Hotel which DOES sit on the beach to allow access to Courtyard guests. The facilities at Coconut Beach include their own restaurant with live entertainment several nights during the week. They also have an on-site vendor selling Caribbean beers, rums and cocktails right on the beach (yes, we sampled those wares – repeatedly). But the highlight of this area is an artificial reef created about 50 yards off-shore, complete with “pots” to attract fish and other marine life. 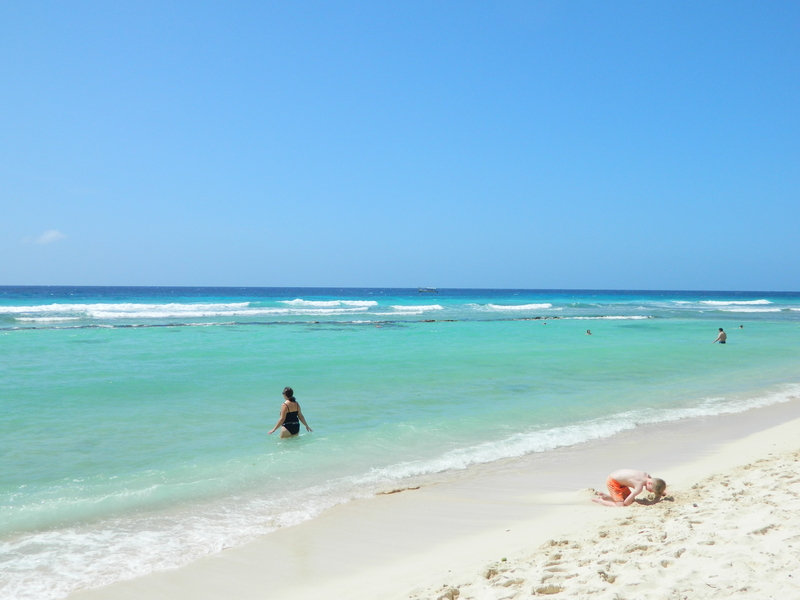 Over the course of the next week; we enjoyed many hours swimming, snorkeling or just wading in these waters. We were never disappointed! We both remarked that within 5 minutes; we had seen more tropical fish than we’d seen in the entirety of last year’s visit to the Keys and our trip to the USVI in 2010 – combined. And no tour boat required! We even had several opportunities to swim/wade with Green Sea Turtles; a dozen or so we repeatedly observed feeding on algae and sea grass just outside this beach area at high tide! After “warming our bones” on our first full day, we took the Jeepster out exploring this amazing island. Along the way, we met some incredibly nice folk. Some were fellow tourists – from the USA, Germany, Australia, and many from the UK. But the nicest seemed to be the locals! While we occasionally struggled with the local dialect (and some of our fellow tourists accents); we had no trouble communicating when it mattered. Everyone we met seemed to be enjoying life just as much as we were! Our first stop Friday evening (and first journey with Jeepster on the “wrong side of the road”) was the Oistins Fish Fry. 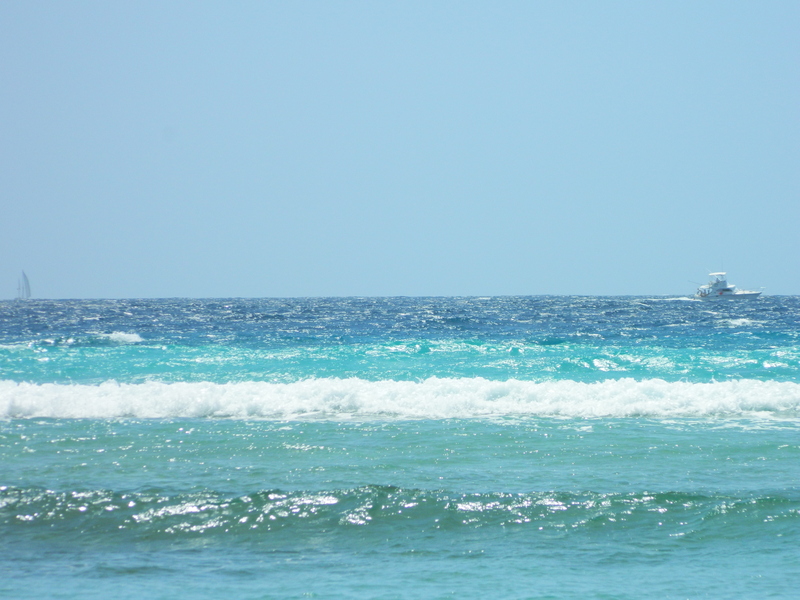 Just a few miles east of Bridgetown, the little town of Oistins is the home port for most of Barbados’ local fishermen. It’s therefore also the home to the largest “fish market” on the island. While you can always purchase fresh seafood or sample the best of the sea from local food vendors – Friday nights are the official “Fish Fry”. Imagine a small town fair, centered around seafood, live music and rum – and you’ll get the picture. 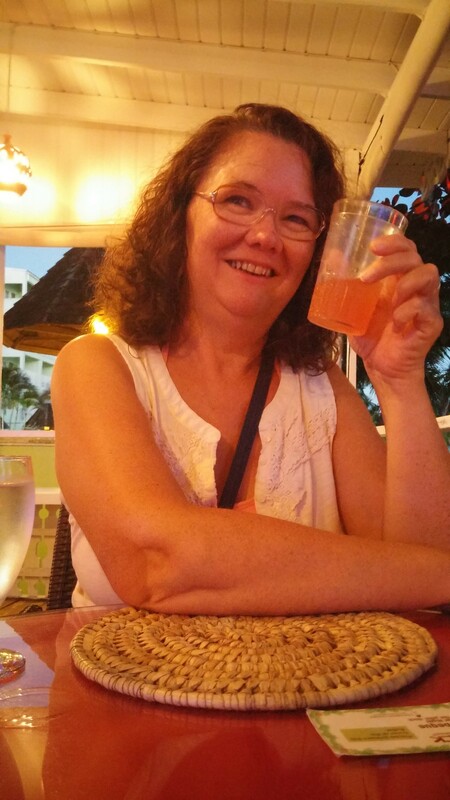 This was our introduction to Bajan Fish Cakes, fried Flying Fish, and of course – Bajan Rum Punch. Oh, my! These alone may lure us back! Over the course of the next five days, we had some adventures and made memories that will last us a lifetime. Or at least until we return to make new ones! Our only regret is that we ran out of time before we had to return home. We also spent most of Saturday lounging around the beach area. You can never tire of the magnificent views and warm waters. In addition to seeing others enjoying swims and snorkeling; we observed several boats off-shore bringing divers to the “far side” of our little reef oasis. 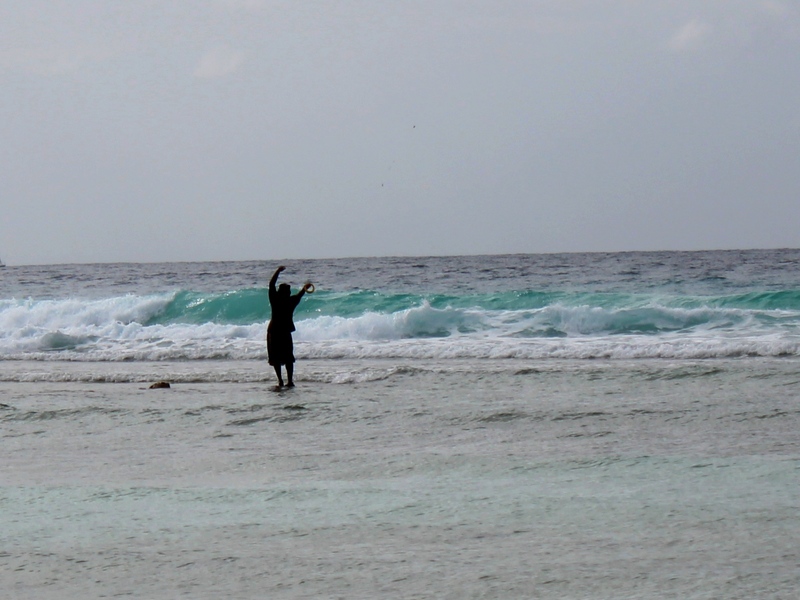 We were also treating to seeing a couple of local guys hand-line fishing and net casting just outside the hotel beach area. 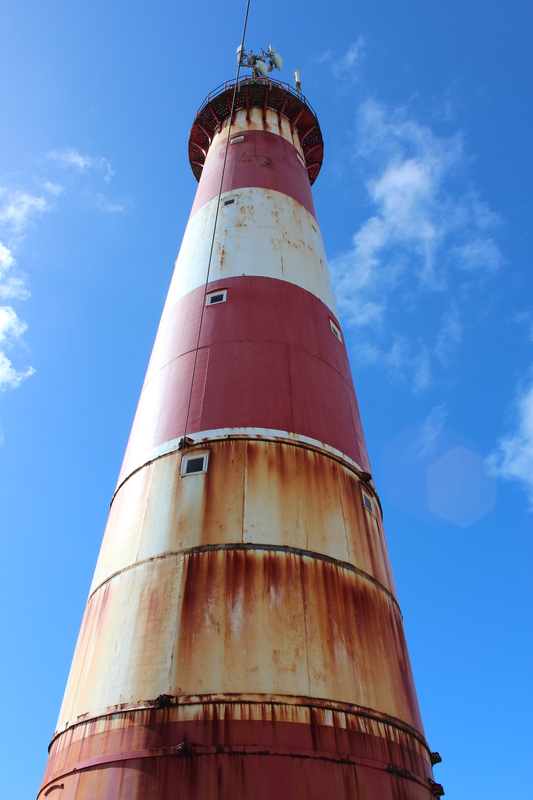 Sunday, we journeyed out along the south and east coast of the island. 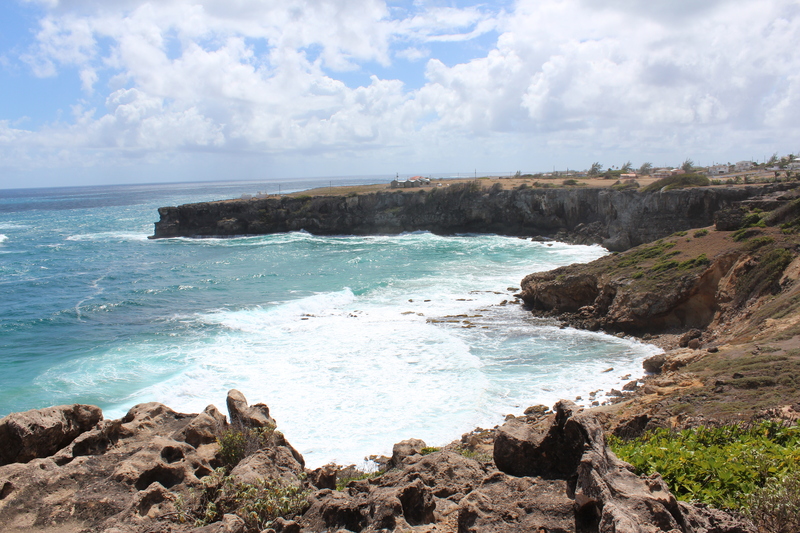 While most of the coral island of Barbados is relatively low and flat, the eastern Atlantic coast is marked by a stark, rugged beauty! 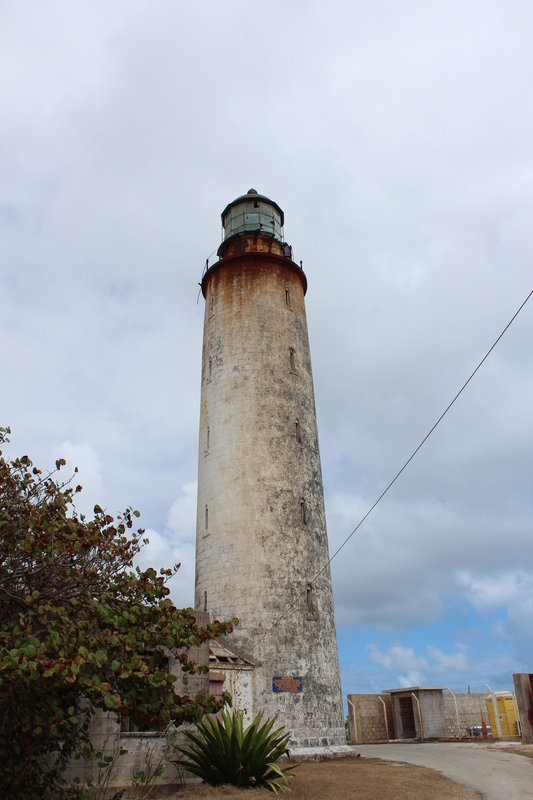 During this jaunt, we visited two old lighthouses. Neither are currently operational, but still retain their majestic perches to guide local sailors. 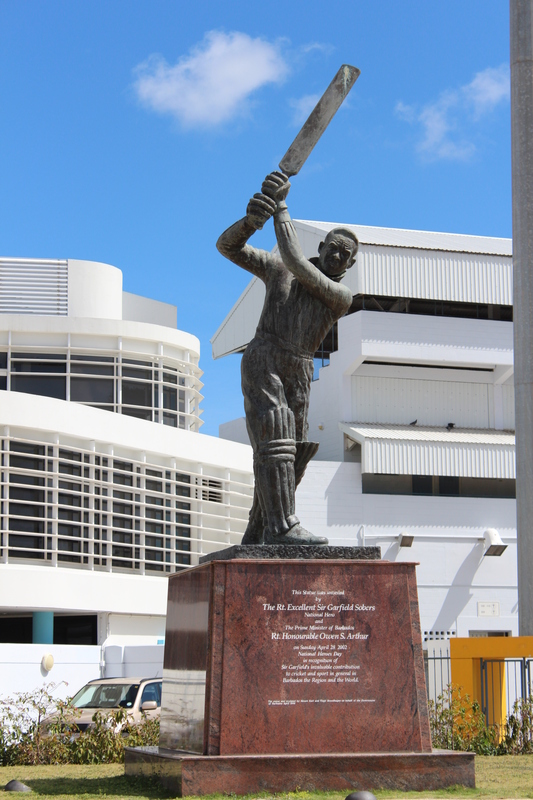 NOTE TO SELF – and to anyone else visiting Barbados. Do NOT turn down an opportunity for a Sunday Breakfast Buffet at your hotel or local restaurant! You will find out as we did, that almost every eating establishment is closed for the full day; or will be closed from breakfast until dinner. 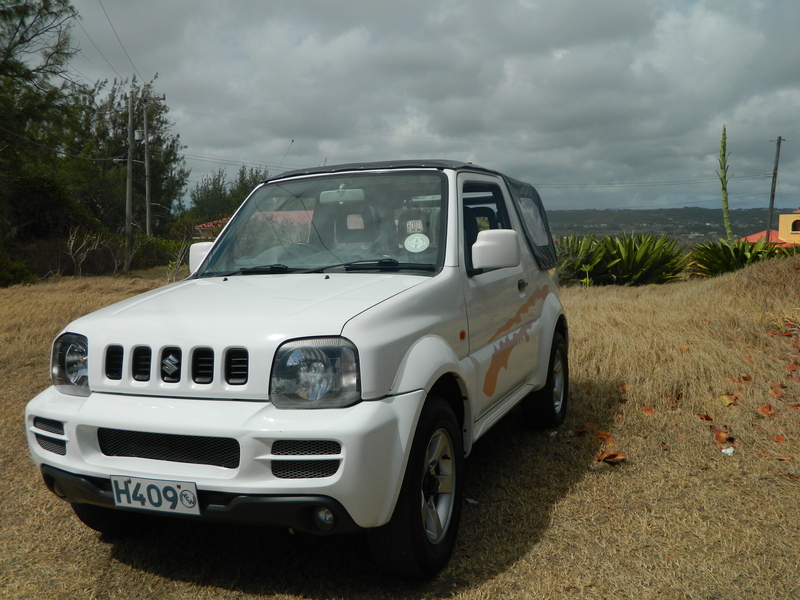 But our trusty GPS did lead us back across the island from east to the western coast – to historic Holetown. 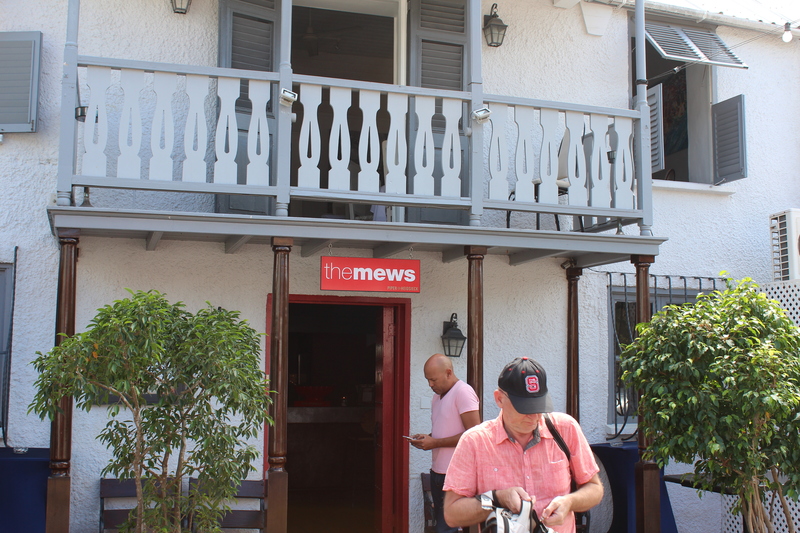 Here we found an excellent late Sunday Brunch at an upscale establishment called “The Mews”. Granted, it was pricier than we’d planned for lunch; but we were starving by now! And we were not disappointed, as the 4-course meal was superb! 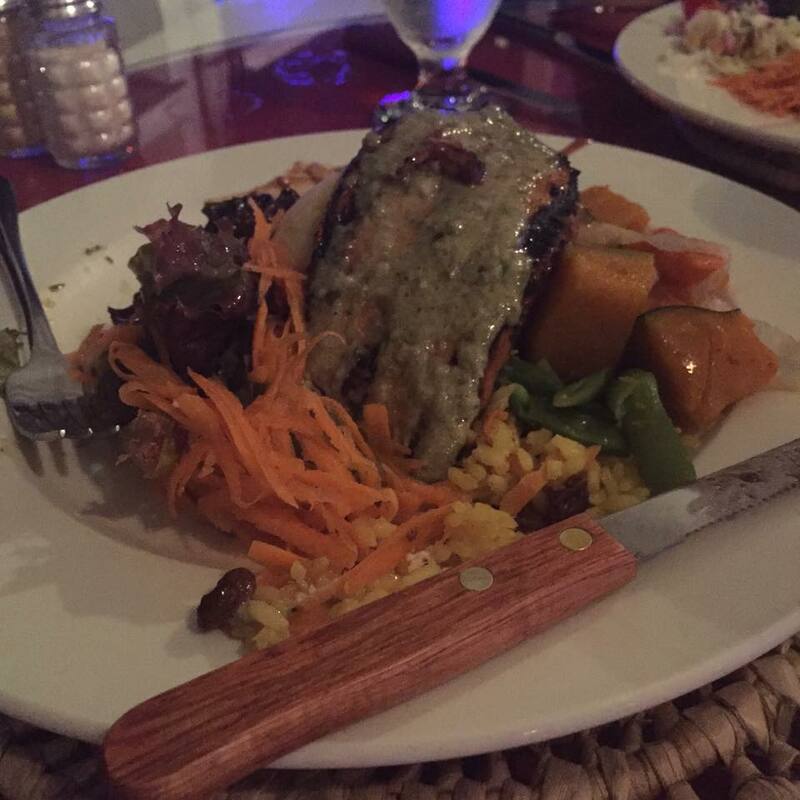 Live entertainment and excellent service made it more than worthwhile for a “splurge” meal. 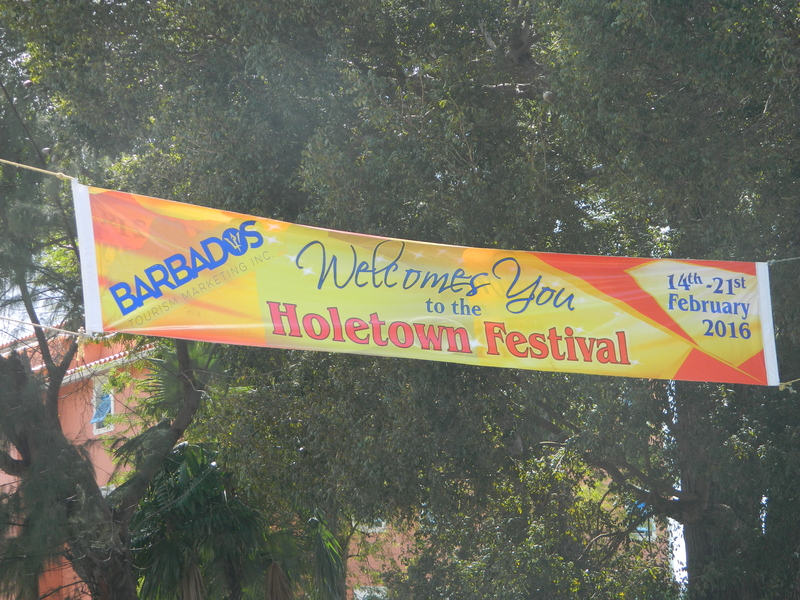 As we departed Holetown, we realized that on the south end of town, we were just missing the annual “Holetown Festival”. Blocks and blocks of food and craft vendors! We browsed for a bit, and just enjoyed the carnival-like atmosphere for a while before returning to “our” beach. On Monday 2/22; we went out exploring again. This turned out to be the fullest and “busiest” day of our trip. 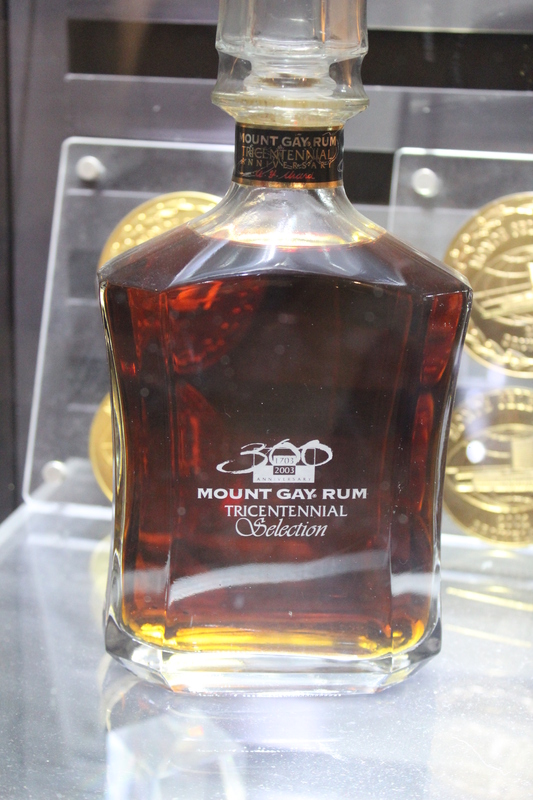 Our first stop was the Mount Gay Distillery, the birthplace of rum established in 1703! We were treated well by a wonderful tour guide; who was both knowledgeable and possessed a great sense of humor. Being greeted by a glass of rum punch didn’t hurt our feelings one bit. We learned of the history of rum and the worlds first rum distillery, and sampled several of their products. This “Tricentennial” bottle was sadly not on the sampling list however. This is the last of only 300 bottles created in 2003. It is currently valued at over $50,000 US. 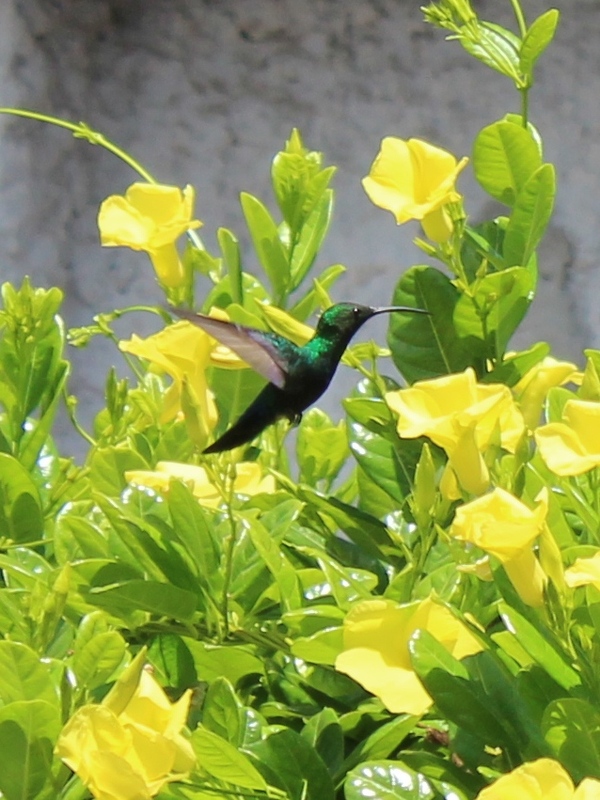 After the tour, we had a pleasant and relaxing lunch at the patio cafe attached to the distillery, then spent some time chasing the beautiful hummingbirds which were feeding in the flower gardens around the facility. 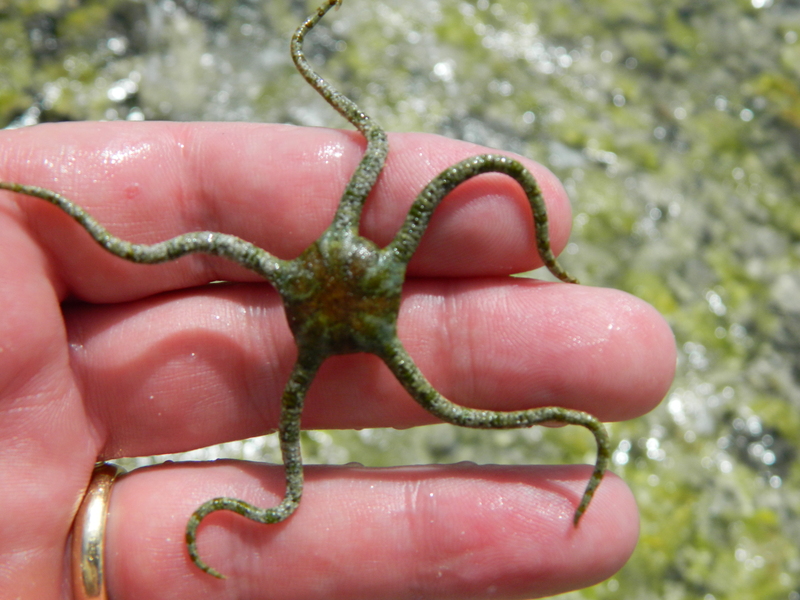 We are not sure of the species (we’ll research that), but these were the largest we’ve ever seen! Wingspan was well over 6 inches. 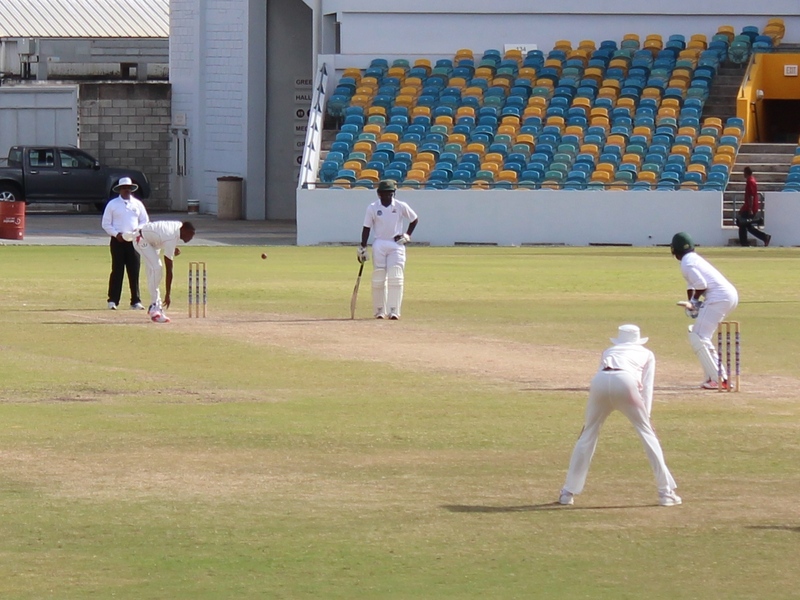 On our way back toward the hotel, we dropped into Kensington Oval and experienced our very first Cricket match. We won’t say that we were “totally lost” on the rules of the game – simply because there is no need to state the obvious. But it was fun, and as you’ll see we learned more about the game later in the evening. February 22nd. George Washington’s birthday. 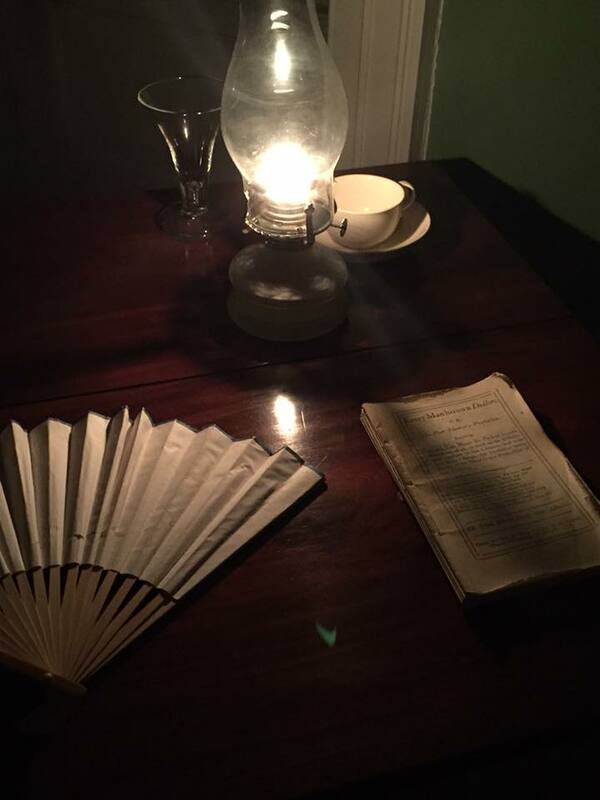 It seemed only appropriate that we visit the historic Bridgetown Garrison area for a dinner theatre experience at the home where our first President lived for 6 weeks when he was only 19 years old – and the only trip he made outside North America in his lifetime. 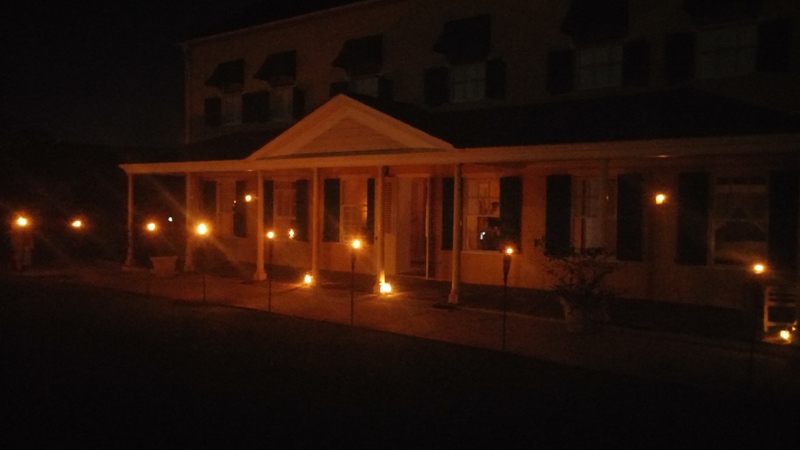 The event was laid out in true “Colonial” style – lanterns and candle-lit, so photo quality leaves something to be desired. 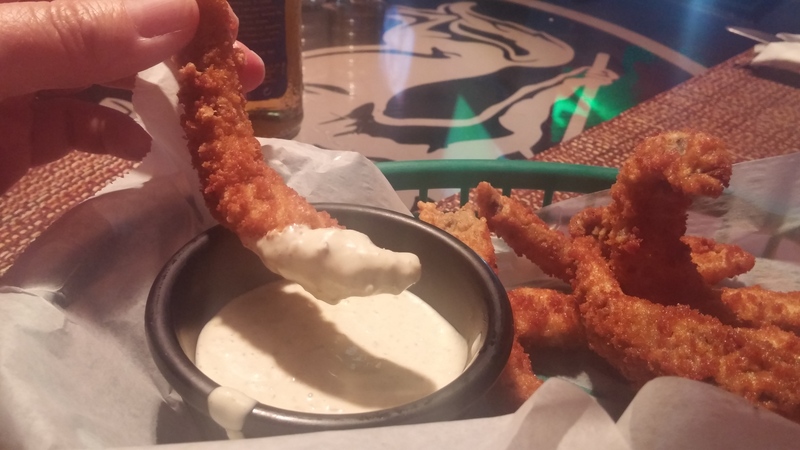 Regardless of picture quality, the experience was great! 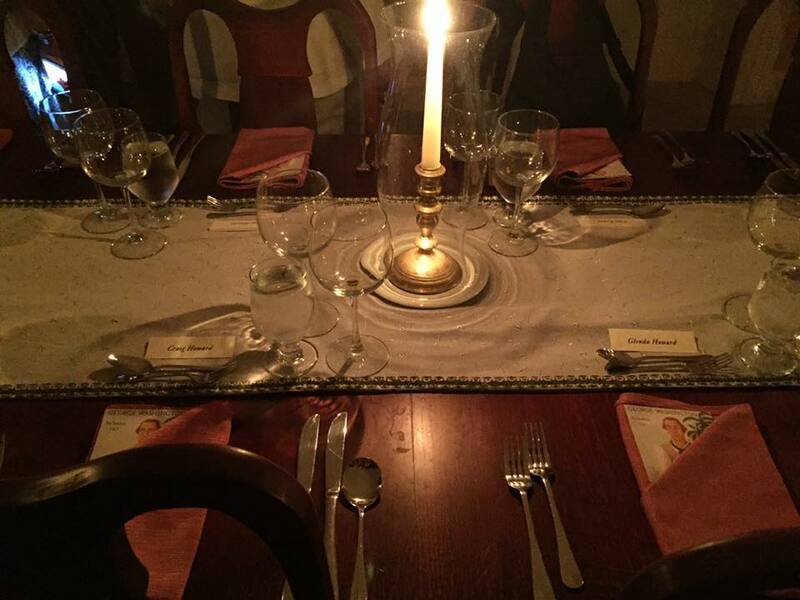 The meal was served in 5 courses over three hours – with conversational interaction with “George” (presented by the Caribbean’s preeminent historian, Dr. Karl Watson) and the dinner guests. 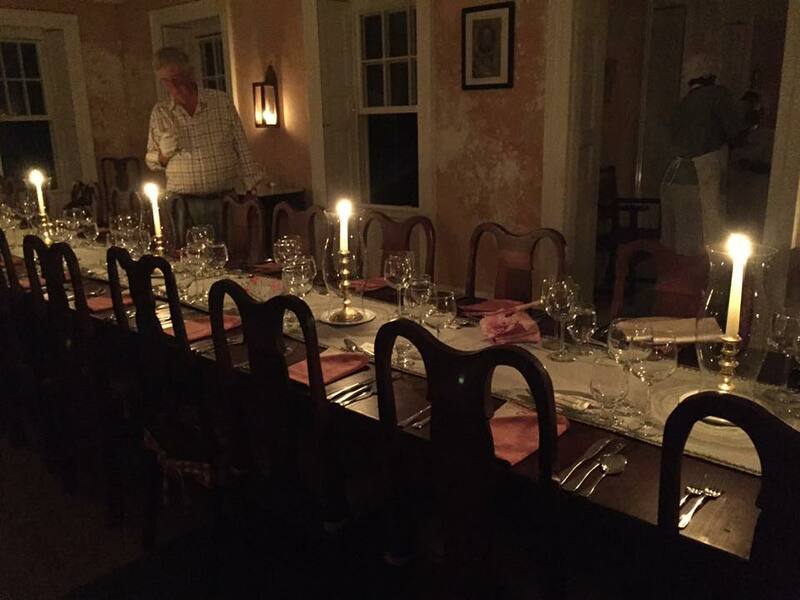 All ingredients were local, and each course was a dish commonly served during the 18th century. During breaks, we conversed at length with the group of British tourists at our end of the table. Not only did they instruct us on the finer points of Cricket, we were also impressed with their knowledge of current American politics! 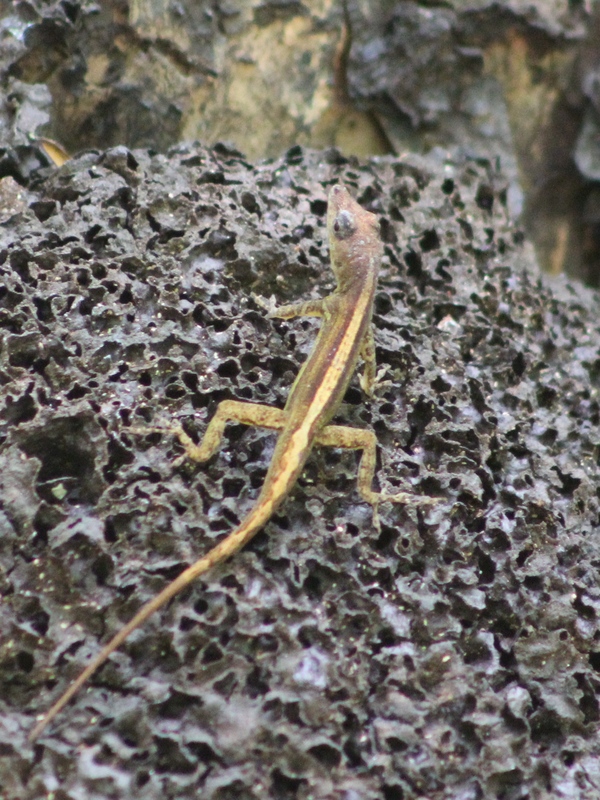 Tuesday turned out to be our “wildlife” day. 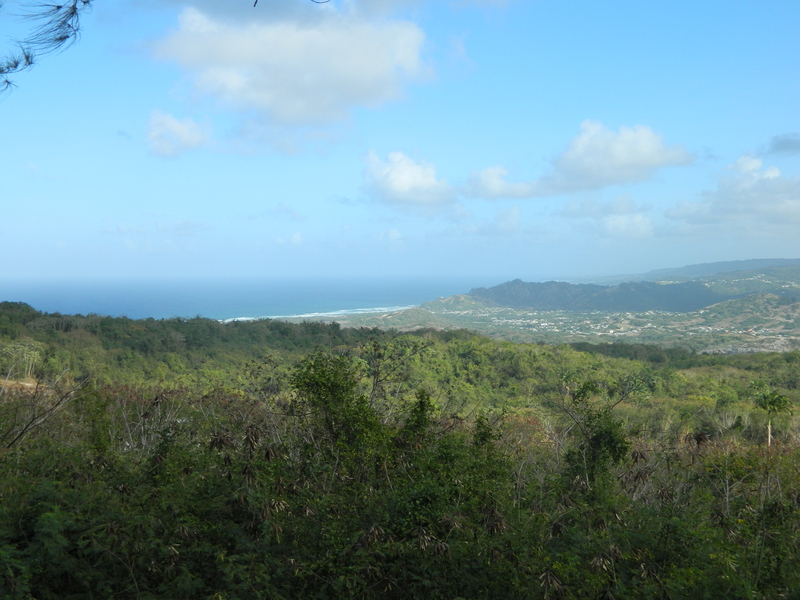 We visited the Barbados Wildlife Reserve and trails, and the adjoining Grenade Hall Signal tower. 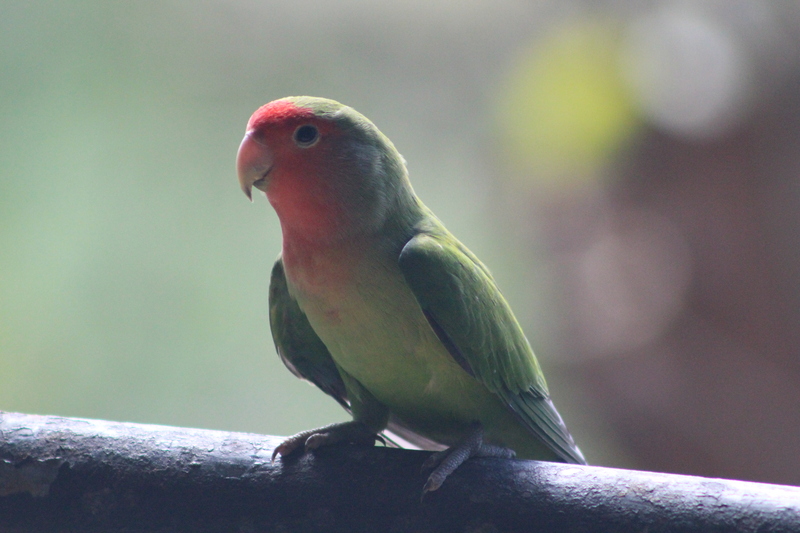 Here we encountered Green Monkeys, Red-Footed Tortoises, budgies, and a plethora of other native wildlife. We observed many species in their natural habitat; as well as other native and invasive species in a walk through “zoo-like” environment. 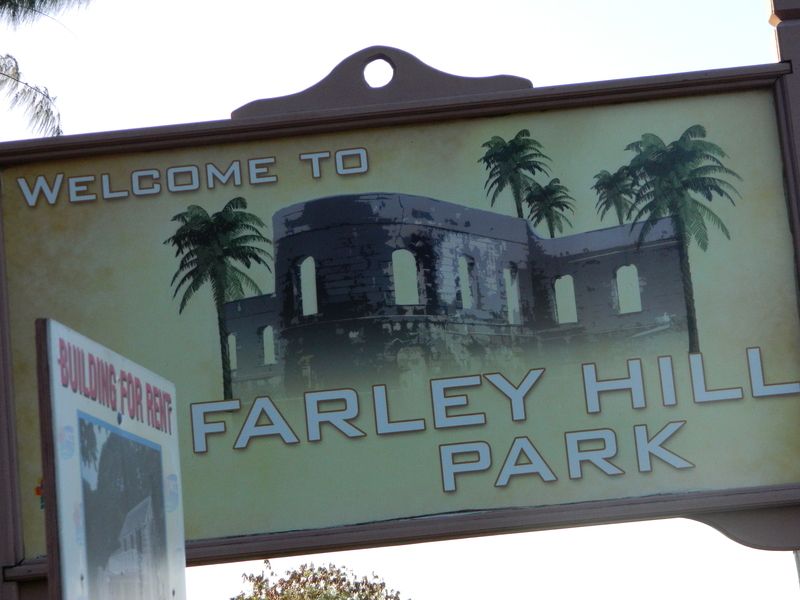 After the Wildlife Reserve; we wandered over to Farley Hill National Park. 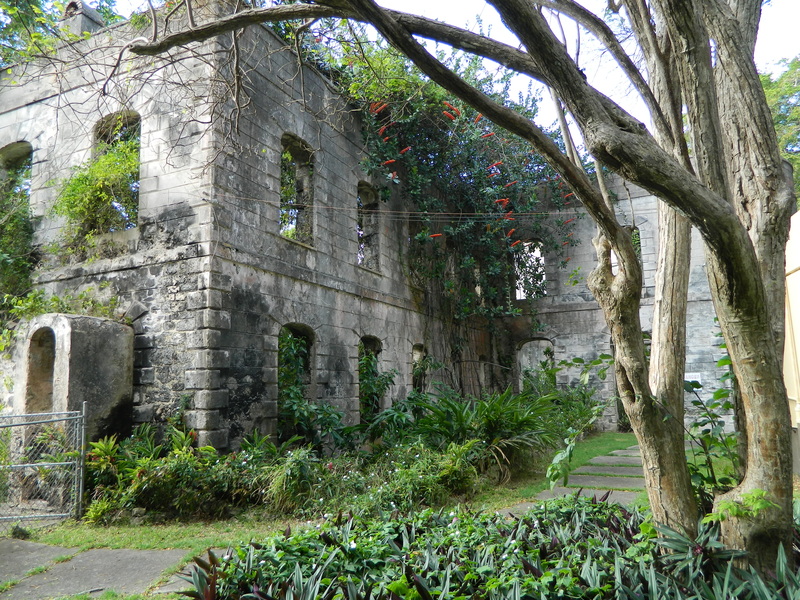 Here we explored the ruins of a once and still magnificent mansion; and enjoyed the trade wind breeze while marveling over what has to be the best panoramic view on the entire island! 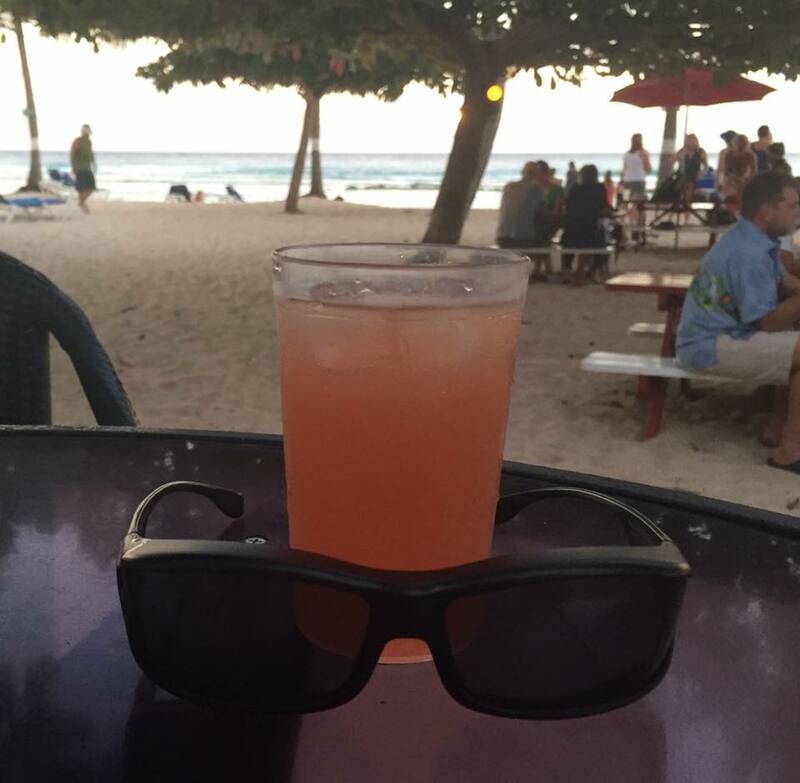 Wednesday was our last full day on Barbados, so we stayed close to home and just “limed” – Bajan for “chill”. We again enjoyed the Coconut Court facilities; with some final snorkeling and of course some more tropical beverages. As the time for our return to reality was rapidly approaching; every moment of liming was special. This post turned out to be WAY longer than anticipated – our apologies, but congratulations for getting to the end! We had enough adventure for several posts! This one was planned to be an “overview” of our activities. As we finish going through all of our pictures, we’ll run a few follow-up posts in the next few weeks. Each one will take a “deeper dive” into our various activities and experiences. These should be shorter on words, but heavier on pictures (and perhaps video too, if we get our GoPro stuff edited and ready!) Please leave us a comment below to let us know what you think – and what you’d like us to expand on. 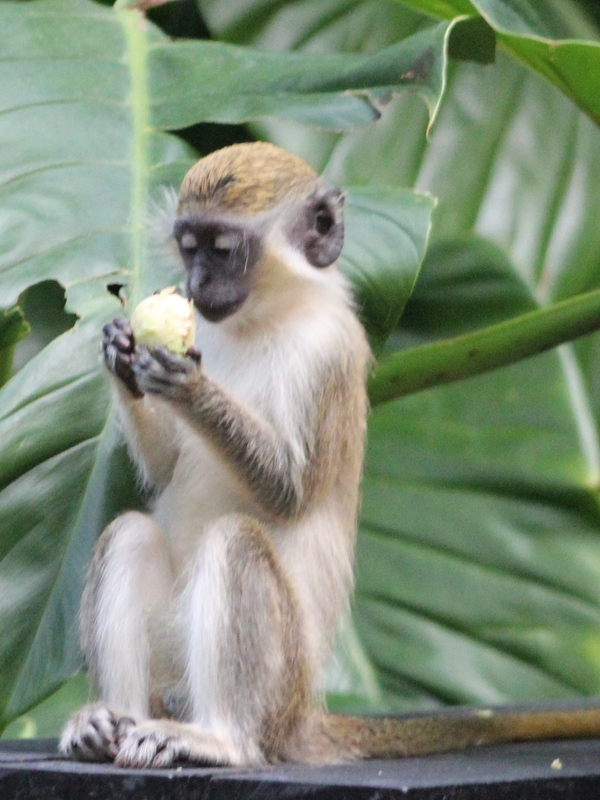 If you are planning your own visit to Barbados, dreaming of one, or just want to explore further …. please visit these sites to learn more about the folks who helped make this one of the most enjoyable adventures we’ve experienced…. so far! Even though we spent a full week on Barbados, we did not have enough time to see and do half the things we wanted to experience. It won’t be tomorrow, probably won’t be next year, but we WILL be back! 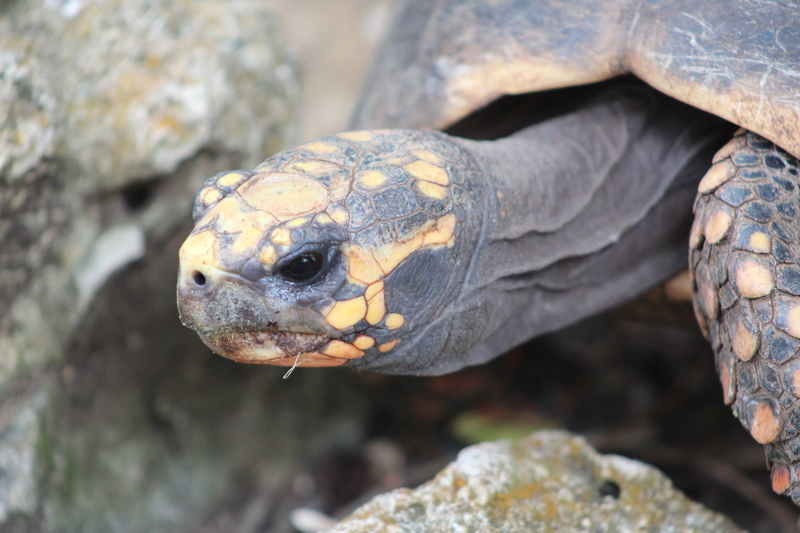 Barbados, Bridgetown, Caribbean, entertainment, Food, history, monkey, photography, rum, tortoise, travel, vacation, wildlife. Bookmark. 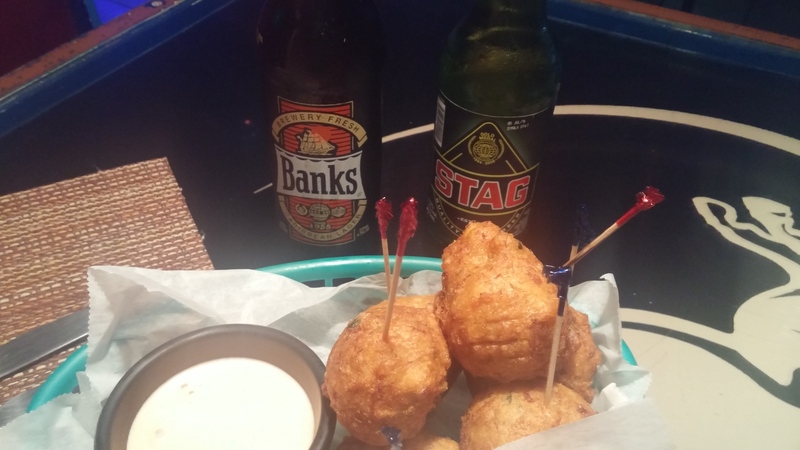 This is a great cross section of Barbados activities. You covered a lot in a week. We returned Mar 7 after our 20th visit. We still enjoy this beautiful island paradise. But we do travel quite a bit more “locally” – feel free to browse some of our other posts. 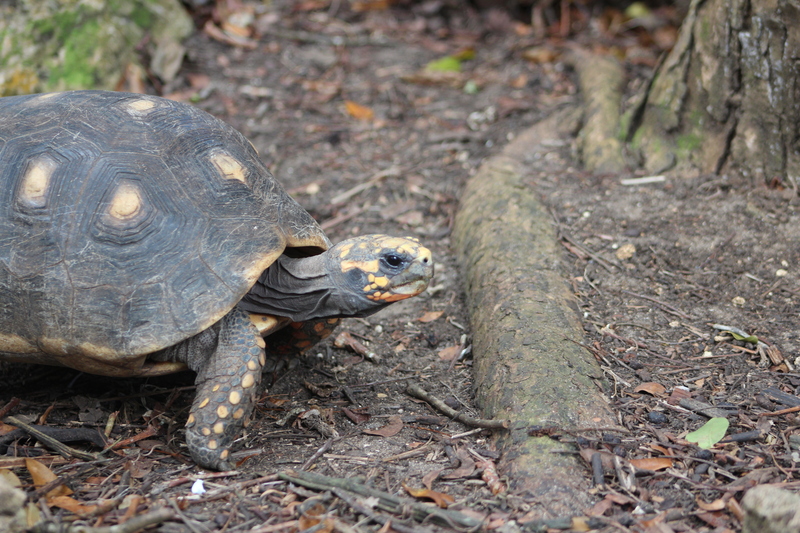 And I hope to have our “Barbados Wildlife Encounters” post up late this weekend!